Yesterday, we helped a Chinese customer to deploy MSS to work with CTC IMS network. 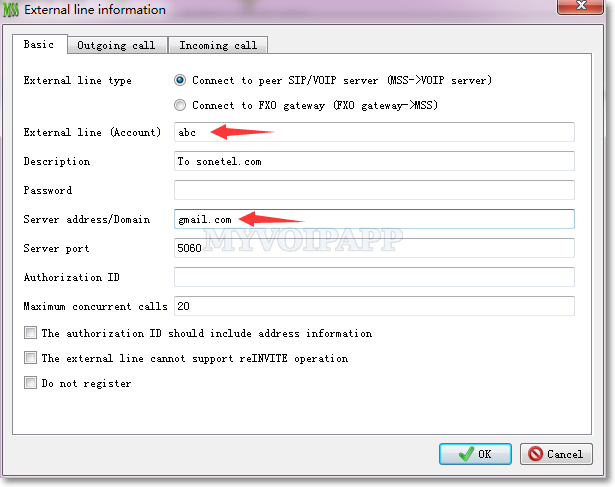 In this scenario, CTC IMS network has ZTE soft-switch (according to User-Agent header in SIP messages) , we need be careful to cooperate with it. 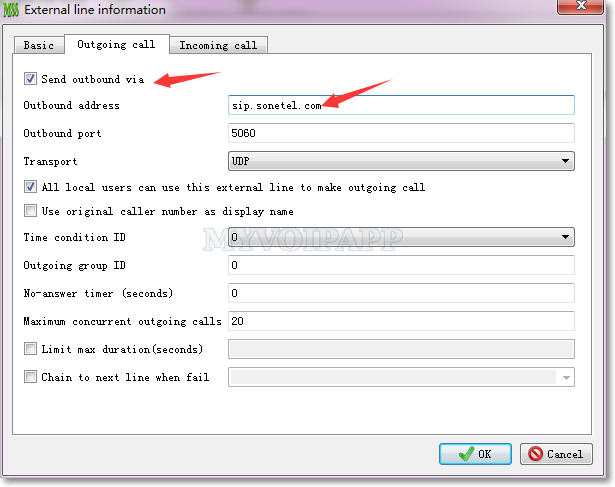 Since CTC provides user name and password for authorization, we configure “external line” in MSS to do that. Following sections will illustrate some key points. 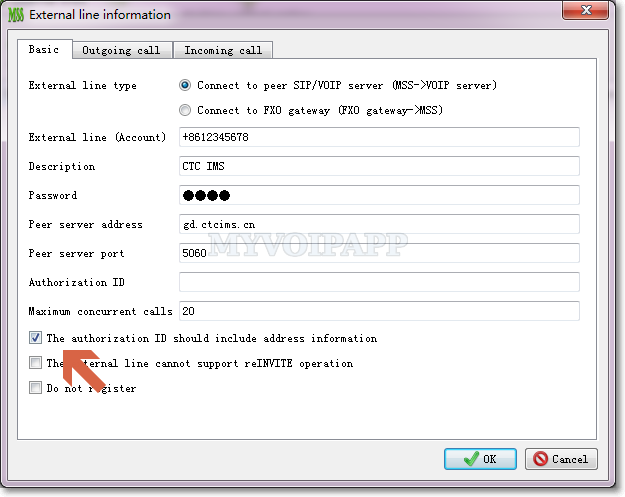 By default, we often use “External line (account)” as authorization user name, but ZTE softswitch requires full URI format, so we need configure “The authorization ID should include address information” in external line. Please refer to following figure for more details. For example, if this item is selected, the authorization name will be “+8612345678@gd.ctcims.cn” according to above figure. If it is not full format, IMS network will return “403 Forbidden” messages to reject it. In fact, we think it is a bug in ZTE softswitch since there is “realm” and “domain” parameters in SIP authorization header. No matter the user name is full format or not, the device should pass it according to successful authorization itself. 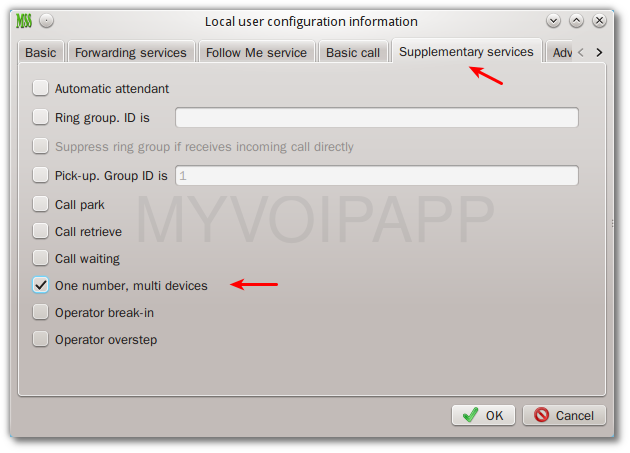 Anyway, if you have same problem to cooperate with other IMS networks, please pay attention to it and configure such item to take a try. 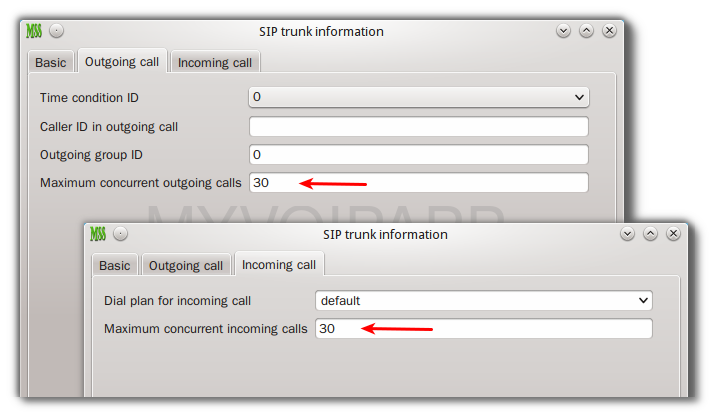 In Chinese CTC-IMS network, its “SIP server” is logic domain, not a real SIP device and cannot be visited. In above scenario, “gd.ctcims.cn” is its domain, not its real address. 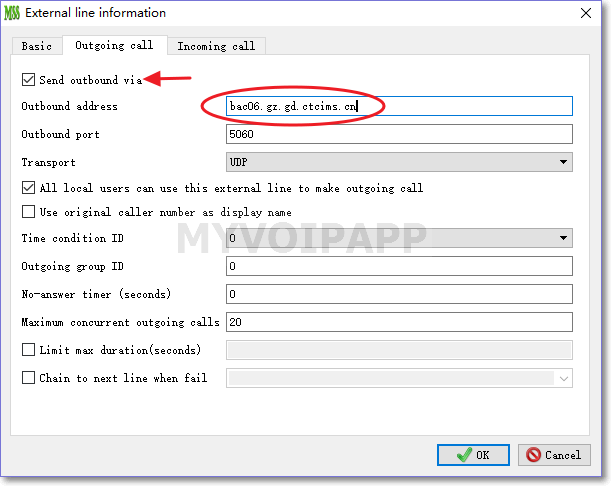 SIP messages should be routed to another device (we think it is a SBC or proxy), so we need configure “Via” address in MSS external line configuration. Please refer to following figure. 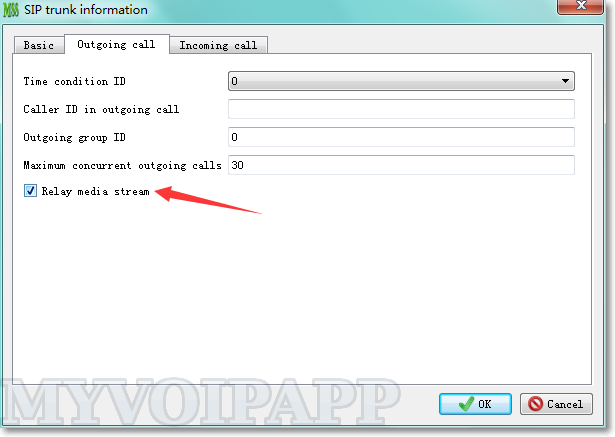 This record means: 100% calls from caller “anonymous” should be blocked.